There are less than two weeks to go until GLAS 2016 takes over the CityWest Convention centre for Ireland’s largest #horticulture trade show. With the 21st July fast approaching organisers say preparation is well underway to ensure that this year surpasses last year’s event and offers visitors the best opportunity to connect and network with industry leaders and colleagues. This year will see visitors able to earn IASIS CPE Credits, which the show organisers say is an additional incentive for people to attend. Visitors to the GLAS Trade show itself can earn 20 IASIS CPE Credits while those who attend the two seminars taking place on the day can earn additional credits. Seminar 1 – Cultural Controls as part of the IPM Toolbox is worth 5 IASIS CPE Credits. While Seminar 2 – IPM – How to make it work for you attendees can earn 3.5 IASIS CPE Credits. Organisers are reminding patrons that they can pre-register for the event online now. The trade-only show is expected to attract a record number of visitors this year proving that the event has become a staple event for the #horticulture industry. 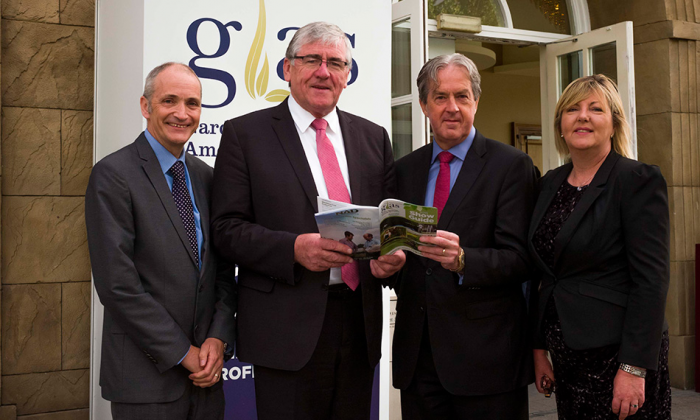 With the full support of Bord Bia, the annual GLAS trade show offers a unique networking opportunity for both buyers and sellers in Ireland’s horticulture, sports turf, grounds maintenance and related industries.